With a working width of 11 feet 8 inches, the Frontier Rotary Rake RR10E provides excellent productivity at an affordable price. It's perfect in smaller fields, and fields with tight corners and steep terrain. Plus, the transport width of 5 feet makes it easier to move the rake through narrow gates (and takes less space in storage). 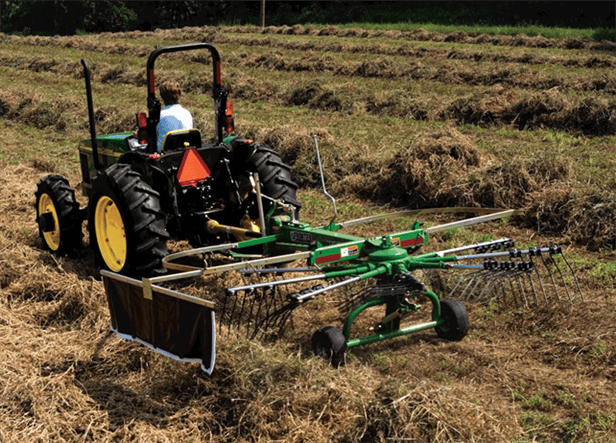 Ideal for use in all types of crops, but especially crops requiring gentle handling, the Frontier Rotary Rake is your tool of choice.